The connection between libertarianism and the asteroid Pallas in astrology is not hard to detect. One might suspect the connection by simply glancing at the charts of three men who arguably started the libertarian resurgence of recent years. Ron Paul: Sun conjunct Pallas and no mitigating factors. The de facto "grey champion" of the modern libertarian movement. 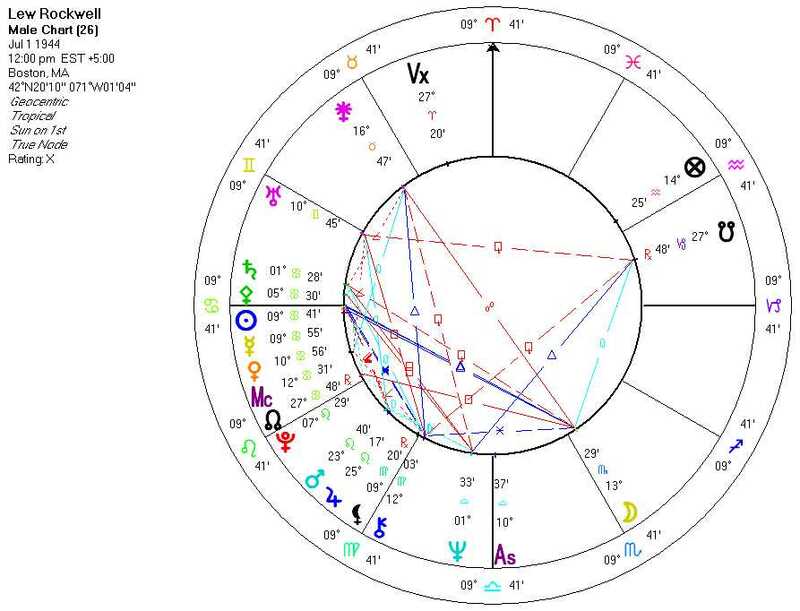 Lew Rockwell: Sun conjunct Pallas (with Mercury) and no mitigating factors. Founder and head of the Ludwig von Mises Institute and LewRockwell.com, the most important and uncompromising institutions supporting the intellectual libertarian movement. 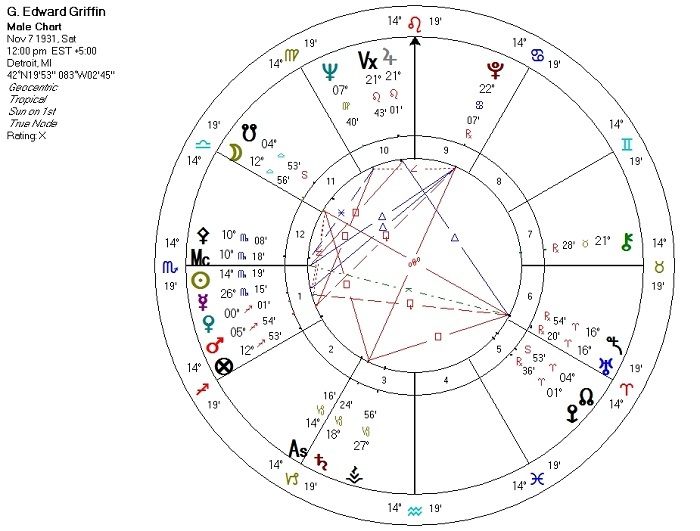 G. Edward Griffin: Sun conjunct Pallas and no mitigating factors. The author of The Creature from Jekyll Island, a book which has educated countless readers on the nature and history of the American monetary system. The charts of most libertarians aren't quite so obvious as these three, but I find that Pallas is implicated in all of the hundreds of libertarian charts I've examined. No birth time is available for any of the three charts: the time of birth in all three cases may also yield useful information. A Sun-Pallas conjunction by itself is no guarantee that the native of the chart will be a libertarian. 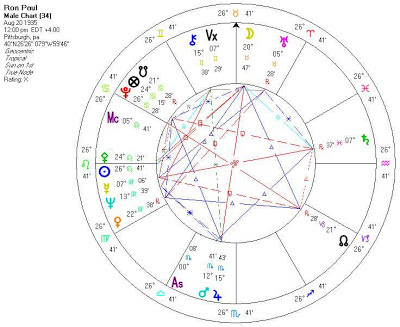 Factors like Jupiter, Pluto and the South Node can skew a chart away from libertarianism. Even with no such mitigating factors, if the native is not interested in politics or exposed to libertarian thought, he or she may not fully "wake up" to the philosophy. In these cases the native tends to loosely adhere to the political philosophy of those around him/her, but will tend to be more ethical and conscientious than most.